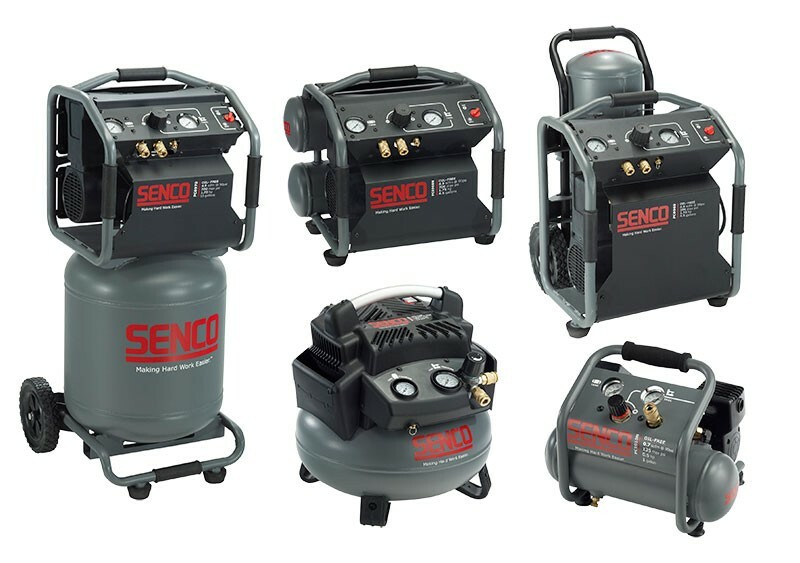 If you are looking for a lightweight compressor that is portable and can tackle trim work, Senco has new 1-gallon and 6-gallon compressors that might be just what you need. If you want to go bigger, they have also announced three new 200 PSI compressors. For the bigger guns, Senco has come out with three new 200 PSI compressors: the PC0968N 4.5-gallon twin stack, the PC0969 4.5-gallon roll away, and the PC0970 15 gallon vertical compressor. All models feature a built-in control panel with protected gauges and dual couplers.